Benjamin Ross Sippel, 25, of Schuylkill Haven, passed away suddenly Saturday, February 9th,as the result of an accident, in Susquehanna County, PA.
Born in West Reading, he was the son of Joseph R. Sippel and Karen J. Homrighausen Sippel, of Schuylkill Haven. 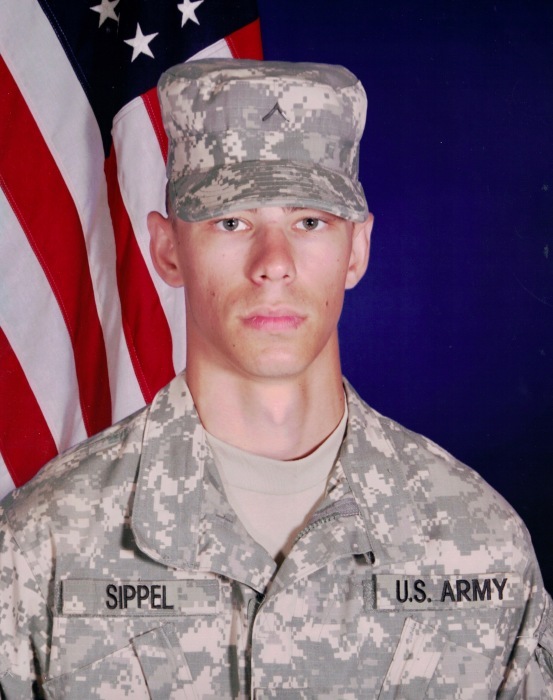 He was the husband of Paige M. (Welty) Sippel, of Kempner, TX. Ben was a Schuylkill Haven High School graduate, Class of 2011, and was currently attending Penn State Schuylkill. He was one semester away from graduating with a Bachelor's Degree in Criminal Justice, and was currently serving his internship at the Schuylkill County Courthouse in the Sherriff's Department. Ben proudly served in the United States Army, as part of the First 82nd Field Artillery. He had been stationed in Fort Hood, TX. He received the Army Achievement Medal, Army Good Conduct Medal, National Defense Service Medal, & the Army Service Ribbon. Ben was a former member of St. Ambrose Roman Catholic Church, Schuylkill Haven. He was also a proud supporter of the NRA. Ben was the head of Veterans Affairs on the Penn State Schuylkill campus. He is preceded in death by his paternal grandmother, Beverly A. Sippel. In addition to his parents and wife, Ben is also survived by two brothers: Joseph R. & Adam R. Sippel, both of Schuylkill Haven, maternal grandparents: Paul & Joan Homrighausen, Schuylkill Haven, uncle, Paul Homrighausen, Schuylkill Haven, paternal grandfather, Larry Sippel, Friedensburg, uncle, David Sippel, Friedensburg, and his beloved pets: cat, Lil' Man, and dog, Jubilee. A Celebration of Life Memorial Service with military honors will be held at Geschwindt-Stabingas Funeral Home, Inc., Schuylkill Haven, on Friday at 11 a.m.
A visitation will be held at the funeral home on Friday from 9 a.m. until the time of service. Interment will be privately held at the family's convenience.